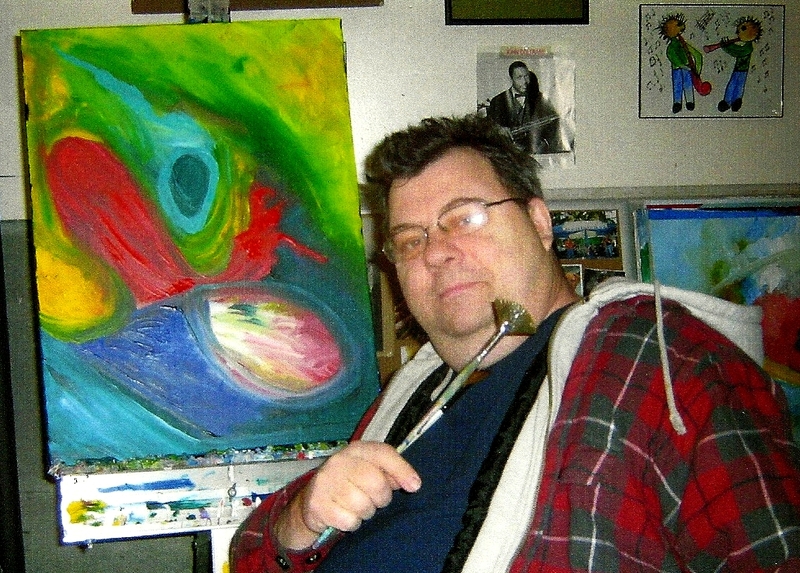 My name is Bob deBruyn Jr.
Painting is like meditation for me. I like to experiment with color and form. Most of my paintings are created without any preconceived ideas. Shapes and colors develop on the canvas with a free form approach. Some of my favorite painters are - Pablo Picasso, Wassily Kandinsky, Paul Klee and Joan Miro. I hope you enjoy the paintings and music. Just pick from the menu at the left. You can either choose a specific year or try the Slide Shows and see them all, one at a time.